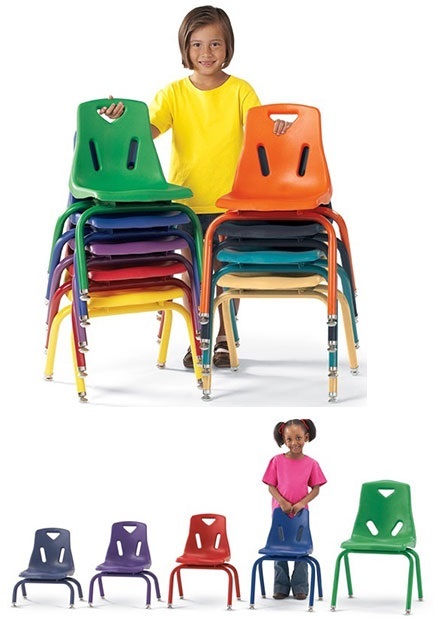 Before you start looking at preschool classroom furniture, you need to remember that children this age are very small. The purpose of each piece of furniture plays an important role in what you purchase. Preschoolers up to age 5 need tables that are between 19 and 23 inches tall. Usually, you will find adjustable legs so that you can adjust them to fit the needs of the children. You can easily and safely put 4 or more children at a table, and sometimes you can put up to 8 children at a table. Each child will need around 20 inches for personal space at rectangular preschool tables and if your table is round, then between 8 and 10 children can sit around a 48 inch diameter table.